Let the needle adventures begin! One of our biggest pieces of advice before travelling would be…..
Make sure you sort out your travel vaccinations as soon as possible! In other words, once you’ve booked your flights think about what vaccinations you need next. If you need a lot of travel vaccinations before you leave you’ll need to consider a few things before booking. 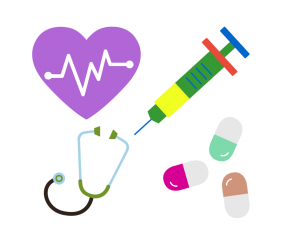 To start, some vaccines require a course of 2 to 3 injections over a period of 28 days or more. This takes time and some of the dates are very specific. Finally, some vaccines are just difficult to get hold of so they’ll need to be ordered in advance, e.g. Yellow fever. Of course walk-in travel clinic in the big cities have the vaccines on tap but they aren’t always the cheapest! For myself I made enquiries at my local doctor’s surgery in the UK. Although the vaccinations were straight forward to organise and book, I got a quote for £561. Ouch!!! The cheapest available in the UK after a lot of research! and with a course of injections covering the whole of the summer. The main worry for us, particularly me, was not being able to make the appointments due to potential work commitments. If i missed one of the courses and had to start again I would lose a lot of money. We also wanted to spend as much time in France organising the trip together rather than me waiting around in the UK for each needle! We decided to look into travel vaccinations in France. 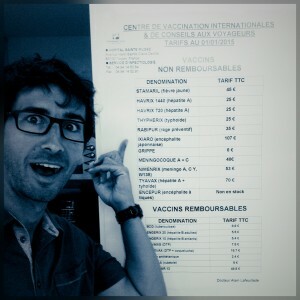 We booked an appointment at the centre de vaccinations internationales et de conseils aux voyageurs en zone tropicale at the local hospital Sainte Musse in Toulon (what a mouth full!!). 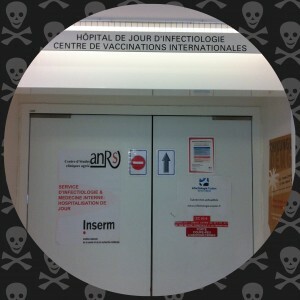 This was the only place in Toulon where we could get Japanese Encephalitis for the both of us and Yellow fever for me. Unfortunately for we had a 6 week wait for a consultation with an additional 28 days after to complete the course for Japanese Encephalitis! Luckily we were well organised and finished all the necessary vaccinations on 10th August 2015 – 10 weeks from the time we first telephoned and booked the first appointment at the hospital. We arranged all the other vaccinations within this time, all in France. I ended up having 1-2 injections almost every week for 6 weeks because of the different courses for each vaccine! Over the years that JM and I have been together we have found that the majority of things in everyday life seem a lot easier and straightforward in the UK compared to life in France (not that’s it’s any better, just easier!). It was the same when organising our travel vaccinations. One appointment with a nurse in the UK and all vaccinations can be booked, no questions asked. All you do is turn up at each appointment and get your injection. 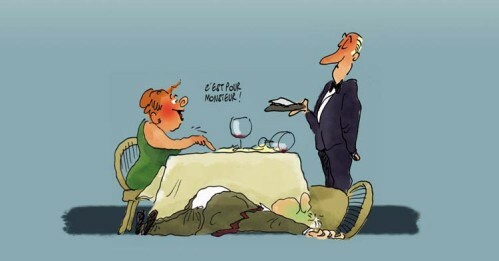 Easy maybe, but it would cost us double the price than in France!! Since we are on a tight budget, we chose to take the long, not so simple route of getting them done in France. 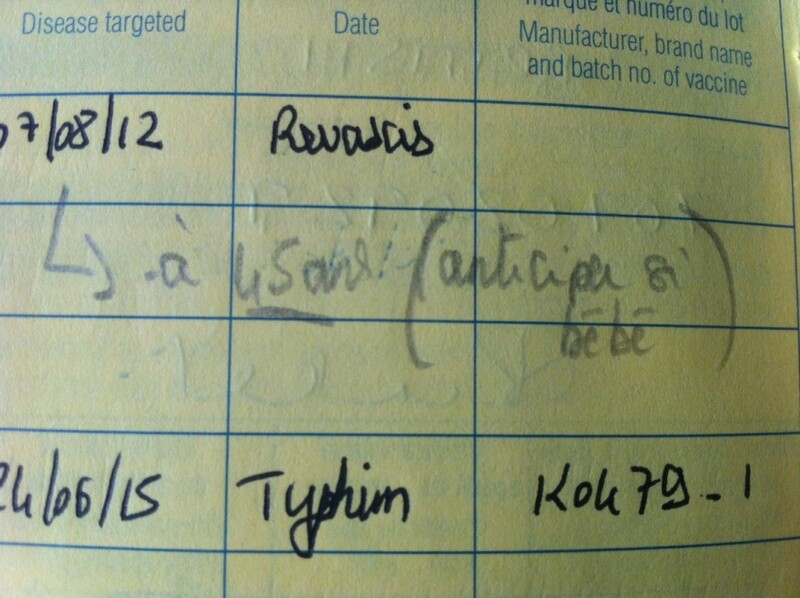 In France, normally, you make an appointment with a doctor and get a prescription for the vaccine. You then go to the pharmacy to pick up your vaccine and then make another appointment with a nurse or alternatively head to your local vaccination centre (open only on certain days) where they can administer it!! If it worked smoothly it wouldn’t be that much of a problem but trying to order rabies vaccines turned out to be a bit of an issue because it’s not every day your local chemists are asked for them over the counter. Some pharmacists we met had never had to order them in their entire careers. They were a little reluctant. Although it felt long winded and never ending we saved a hell of a lot money and it was good practice for our travels. We know that to save money we need to take the longer and cheaper route compared to the fast and expensive route. During our needle adventure, we came across some great people especially the local doctors at the vaccination clinic who saw me on almost a weekly basis for a couple of months. On our first visit to the vaccination clinic we explained what we were up to, heading off on a round the world tour for about a year. She even wrote on my travel vaccination card!! a reminder to get the vaccination anytime I plan to have a baby! Very cute lady but nuts!!! All the remaining vaccinations went smoothly without a hitch or further questions about babies!! Regarding other pills and prescriptions we were advised at the hospital that because we’ll be in zones where malaria could be an issue for over 4 months it would be better for us and healthier if we carried a malaria antidote rather than take malarone everyday as a preventative. In the long run this has saved us some money (although mosquito nets and mossie spray were now essential) and it’s a relief to me who doesn’t react well to antimalarial pills. We were also given a prescription of Tiorfan and Zithromax in case we got severe stomach upsets and for JeanMax’s famous sensitive belly (Not the strongest of bellies with foreign foods). In addition we have the luck of JM’s amazing sister, Anne-Laure, pharmacist extraordinaire, who knew exactly what we should take with us on our trip. Anne–Laure made us a list, we went to the doctor for the prescription, he copied the list with no questions asked, signed, shook our hands and said you’re ready for Koh Lanta!! (A program pretty similar to Survivor!) Easy peasy. 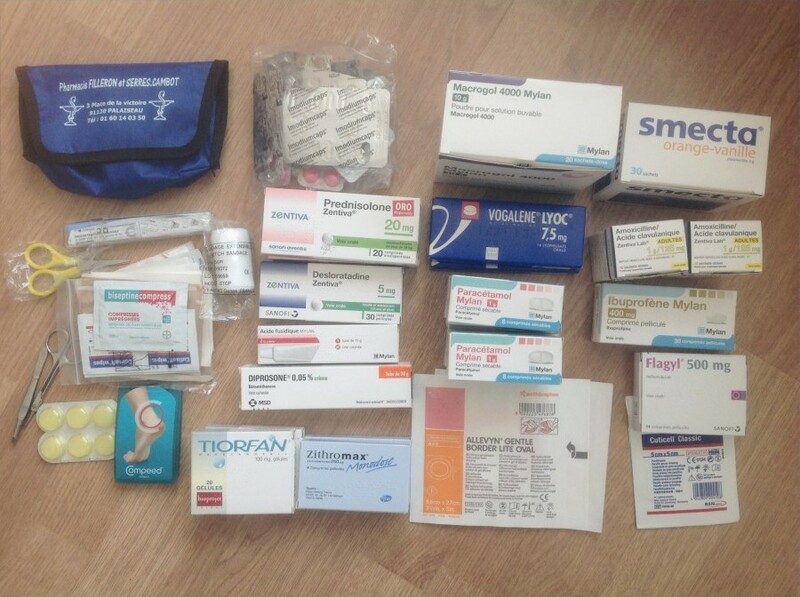 Although we aren’t ones to pop pills every day and we know we can get most things whilst travelling, we are happy with what we are taking and hopefully we won’t need to use any of it! 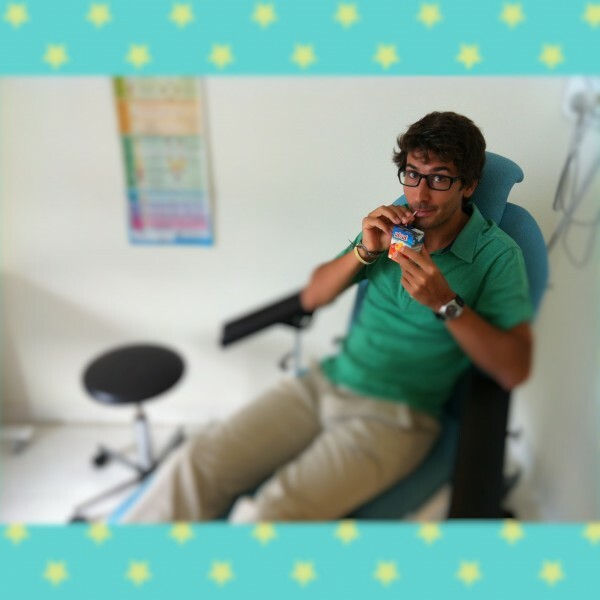 Finally we would like to say a big thank you to all the nurses at the blood testing clinic and at the hospital Sainte Musse for kindly providing fruit juices, water and sugar cubes to Jean-Max who unfortunately is a little bit of a fainter when it comes to blood and needles! !